The Baltic States - by bicycle! Welcome to the web shop of BaltiCCycle.eu! 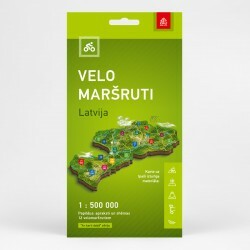 Here you find useful service and publications for cycling and nature tourism in Lithuania, Latvia and Estonia. ALMOST free (0.5 to 2€) are many cycle maps for download. Payment: by Paypal, Credit card to accounts in Lithuania. Publications for download are available after you log in! So you have to create an account and "pay" 0-2 Euros!!! Attention! This is "only" the web shop. We are based in the Baltic States and distribute mainly the local made publications!